Nine anticipated bouts are set for Invicta FC 18 including a huge strawweight matchup as Alexa Grasso meets Jodie Esquibel in the main event. 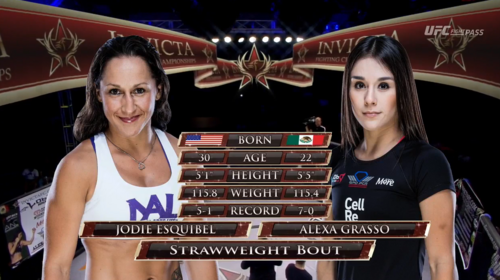 Alexa Grasso vs Jodie Esquibel Invicta FC 18 Jul 29, 2016 (30:54) Alexa Grasso vs Jodie Esquibel at Invicta FC 18 from July 29, 2016 in Kansas City, Missouri, USA. Agnieszka Niedzwiedz vs Christine Stanley Invicta FC 18 Jul 29, 2016 (29:06) Agnieszka Niedzwiedz vs Christine Stanley at Invicta FC 18 from July 29, 2016 in Kansas City, Missouri, USA. Tessa Simpson vs Simona Soukupova Invicta FC 18 Jul 29, 2016 (27:59) Tessa Simpson vs Simona Soukupova at Invicta FC 18 from July 29, 2016 in Kansas City, Missouri, USA. Mizuki Mizuki vs Lynn Alvarez Invicta FC 18 Jul 29, 2016 (19:53) Mizuki Mizuki vs Lynn Alvarez at Invicta FC 18 from July 29, 2016 in Kansas City, Missouri, USA. 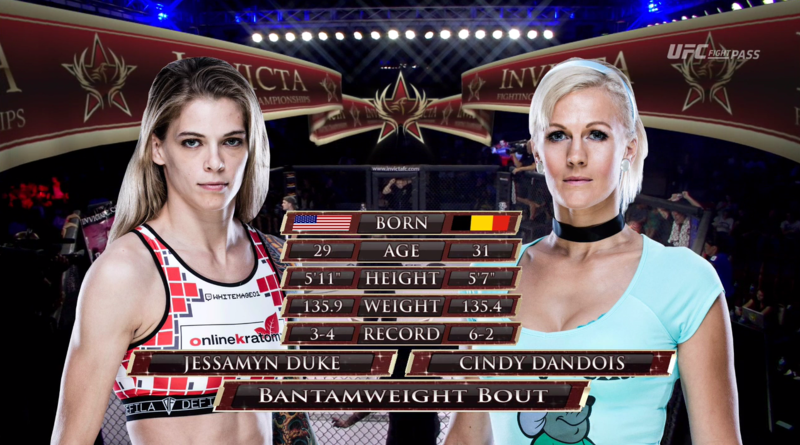 Cindy Dandois vs Jessamyn Duke Invicta FC 18 Jul 29, 2016 (11:49) Cindy Dandois vs Jessamyn Duke at Invicta FC 18 from July 29, 2016 in Kansas City, Missouri, USA. 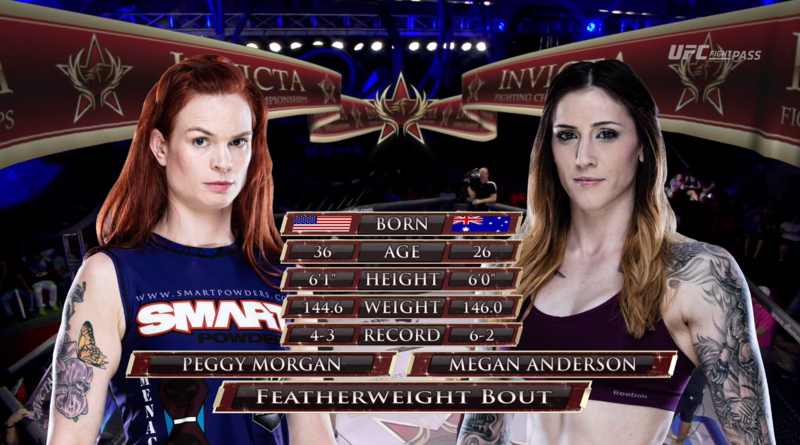 Megan Anderson vs Peggy Morgan Invicta FC 18 Jul 29, 2016 (14:57) Megan Anderson vs Peggy Morgan at Invicta FC 18 from July 29, 2016 in Kansas City, Missouri, USA. 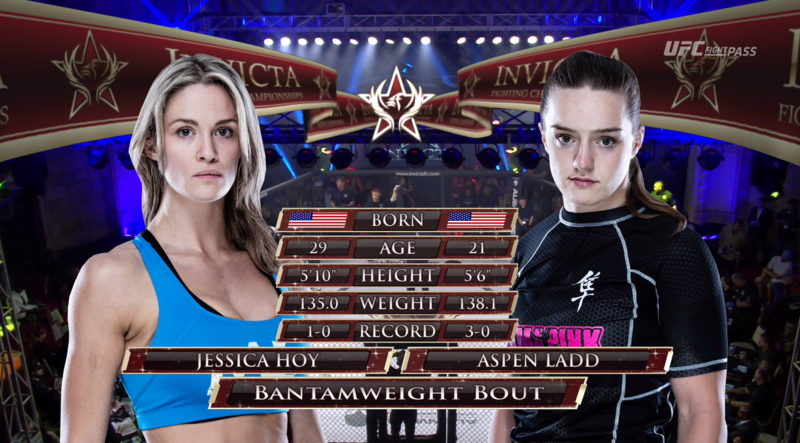 Aspen Ladd vs Jessica Hoy Invicta FC 18 Jul 29, 2016 (17:15) Aspen Ladd vs Jessica Hoy at Invicta FC 18 from July 29, 2016 in Kansas City, Missouri, USA. Sijara Eubanks vs Amberlynn Orr Invicta FC 18 Jul 29, 2016 (12:58) Sijara Eubanks vs Amberlynn Orr at Invicta FC 18 from July 29, 2016 in Kansas City, Missouri, USA.